Fairfield County is the southwestern-most and most populous county of the state of Connecticut. Based on the 2010 census, the county's population was 916,829, estimated to have increased by 3.1% to 945,438 in 2014. Fairfield County was created on May 10, 1666. 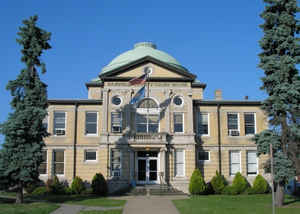 The County Seats were Fairfield (1666-1853) and Bridgeport (1853-1960). The county is named for the hundreds of acres of salt marsh that bordered the coast. The United States Office of Management and Budget has designated Fairfield County as the Bridgeport-Stamford-Norwalk, CT Metropolitan Statistical Area. Named after the extremely large area of salt-marshes and swamps both on the coast and inland. 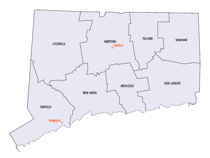 Fairfield County is located in the southwest corner of the State of Connecticut, bordered on the west by New York state, on the east by New Haven County, and to the northeast by Litchfield County. 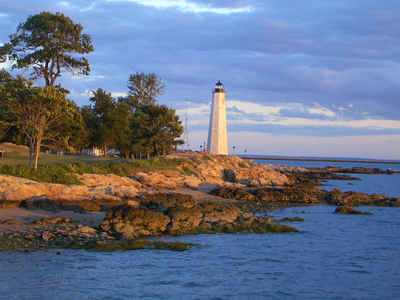 The Fairfield County shoreline is protected from the Atlantic Ocean and bordered on the south by Long Island Sound. The total area covered by Fairfield County is 626 square miles. 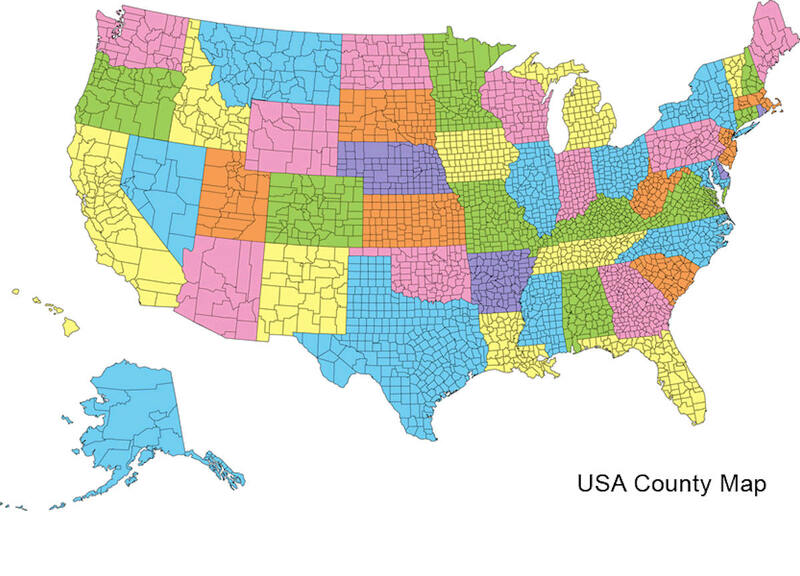 The county contains four of the state's largest cities (Bridgeport (1st), Stamford (3rd), Norwalk (6th) and Danbury (7th)), whose combined population of 433,368 is almost half the county's. As reported by the Census Bureau, the county has a total area of 837 square miles (2,168 km2), of which, 626 square miles (1,621 km2) of it is land and 211 square miles (547 km2) of it (25.23%) is water. Fairfield county is located in southwest Connecticut. The terrain of the county trends from flat near the coast to hilly and higher near its northern extremity. The highest elevation is 1,290 feet (393 m) above sea level along the New York state line south of Branch Hill in the Town of Sherman; the lowest point is sea level itself. The Taconic Mountains and the Berkshire Mountains ranges of the Appalachian Mountains run through Fairfield County. The Taconic mountains begin roughly in Ridgefield and the Berkshires begin roughly in Northern Trumbull, both running north to Litchfield County and beyond. A portion of the mountains also is in rural Greenwich and rural North Stamford in Fairfield County and run north into Westchester County, New York, eventually re-entering Fairfield County in Ridgefield. The section of the Taconic Mountains range that runs through Greenwich and North Stamford of Fairfield County is also the part of the Appalachians that is closest to the coast out of the entire Appalachian Mountains. A small portion of the Appalachian Trail runs through the county. The Appalachian Trail enters Connecticut in the northernmost and least populous town in the county, Sherman, and moves east into Litchfield County which encompasses the majority of the Appalachian Trail in Connecticut. Northwest: Putnam County, N.Y.; Dutchess County, N.Y.